The aim of the website is to promote and make our unique lauches more popular, such as our development Partnership in the Bodrogköz area and also to share our experiences with the inquirers interested in our beautiful and useful work and its results. To be able to work with satisfying results, we would like to intruduce the main authorities organisations in the region, the history and people of thes area, how they think, what their aims are, and last but not least, the working mechanism of the Partnership works. We are recommending our website for those who are positive thinkers, who are not afraid of thinking and who are not afraid of doing something together to reach common goals. We, the VITEA Fund are working together with foreign municipalities for 10 years now in order to encourage organisations of the border region not to be afraid of working together, dare to dream and cooperate for implementation. We are also recommending our website for those politicians and economic professionals who are fighting for the rise of the Hungarian nation. The attitudes we experienced during practical work, lead us during the common work. The website also celebrates the 10th anniversary of the Fund and the 5th anniversary of the Partnership, as it presents achievements that were considered important by the directors of the Partnership and the Fund through Partnership work. 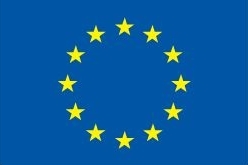 The website was implemented with the support of the European Union. In order to make the economic and financial status of the European countries better, it has to go through a complete renewal for both the minds and ways of thinking. We think it is very important for more and more people to understand what is going on in the world including the finances too, so the European citizens will not be mislead. We have to know that both the state and the EU are ours, so the money of the state and the EU is also a common property of us. The EU is taking great efforts so more and more people can take part in the formation and implementation of this work though different programs and calls for proposals. But, in order to be a good citizens and be able to make good decisions, one has to understand the worl first.